JP Software Technologies has designed a Hospital Management System keeping in view the requirements of clinics and hospitals. It is state of the art software that has been designed after extensive research and has integrated all the facilities required by a hospital. 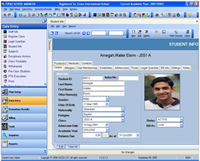 The Hospital Management System software is quite flexible to use and is scalable in design. The Hospital Management System software from JP Softwaer Technologies has many modules, where each module deals with a specific activity and helps to improve the quality of patient care. The software helps to reduce the number of human hours, increases efficiency and reduces costs. Our Hospital Management System software is very user friendly & affordable. HMS is a Comprehensive and integrated Hospital Management System Designed and Developed by Health Systems. HMS is fully geared up to meet the demand of running a modern hospital or a Clinic. It has been conceived by a blend of seasoned professionals with rich and relevant experience in healthcare industry. The System incorporates the best healthcare practices and it designed to deliver key tangible benefits to clients across the globe. System has a long term business commitment in the field of healthcare management system to bring the immense values of upto- date clinical, administrative and technological practices to its clients. This software maintains records of all the departments in a hospital which include different wards, labs, medical store, billing department & many more facilities. 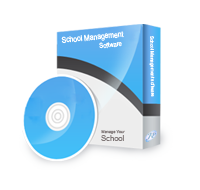 The software integrates a variety of systems used in a hospital such as inventory management, financial management, front office management etc. The Hospital Management System is accurate, reliable and it is very easy to retrieve stored information. Reduces the amount of paper work.